Can you tell me what colour the splashback is? 15. 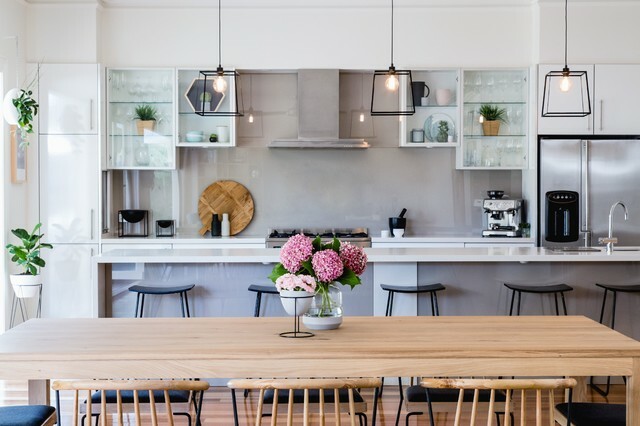 Location: Murrumbeena, VictoriaWhy we love it: A generous timber dining table and a fresh palette of white and grey, punctuated by accents of black, imbue the kitchen of this renovated 1920s family home with character and sophistication.